The custom fastpitch stirrups by Socks Rock are a treat for players who prefer stirrups that offer them uncompromising support and performance. 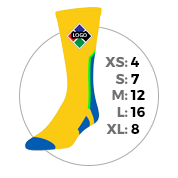 Our custom softball stirrups can be customized to display your team’s colors in full glory. Our customization process is simple. With a few clicks, you will have your stirrups ready to be manufactured. 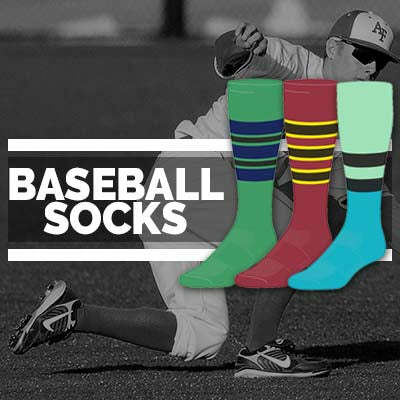 Why Buy Custom Fastpitch Stirrups from Socks Rock? We proudly manufacture stirrups locally: We design and manufacture each of our custom softball stirrups in USA. 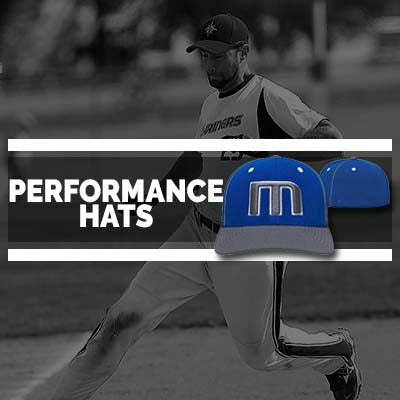 Materials that offer enhanced performance: The yarns and fabric and their specific blends that we use for our stirrups are able to manage moisture, dry quickly and regulate temperature. 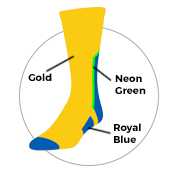 This reduces the chances of blisters and hot spots for the players. Cutting edge technology: We use antimicrobial, blister control, climate control, compression, and ProDRI technology during the manufacture of the custom fastpitch stirrups. 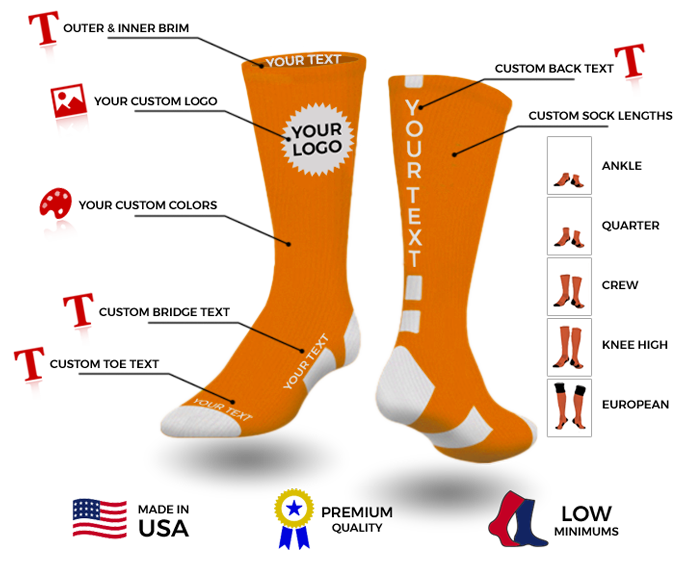 Comprehensive customization for your team: You can choose from various patterns and choose your team’s colors and logo on the stirrup to increase team spirit. Long-lasting stirrups: When you’re on the field, chances of rough usage and wear and tear are elevated. You need stirrups that can hold their own and offer maximum protection. 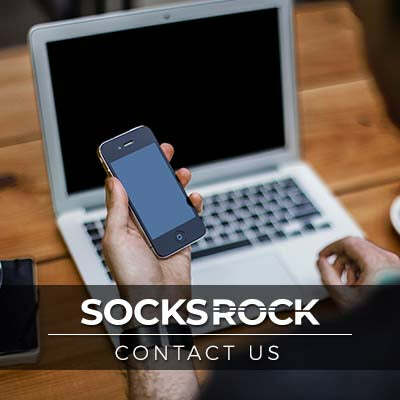 The stirrups by Socks Rock are robust and are designed to last several years’ worth of usage. Comfort on your feet: The soft, quick-dry materials and the impressive manufacturing technology ensures that the stirrups are not just functional—they are extremely comfortable. 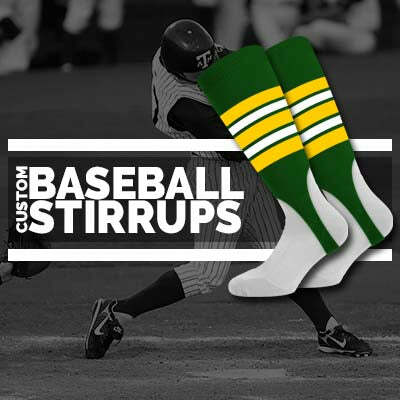 Our custom softball stirrups are what you need when you’re on the field. Customize and order today!